To stay on top of your health as a woman, it’s important to have routine Pap smears. As January is Cervical Health Awareness Month, the health professionals at The Guirguis Obstetrics & Gynecology Group want to remind all women to schedule their yearly exam to reduce their risk of developing cervical cancer and other health complications. A Pap smear is a routine, minimally invasive screening that can detect changes in cells found in your cervix. These changes can indicate precancerous conditions or the presence of cervical cancer. By having routine Pap smears, your provider can track and monitor early changes to ensure you get the earliest treatment possible. A Pap smear is usually a part of a routine pelvic exam. The test involves collecting cells found in your cervix using a long cotton swab. This sample of cells is then sent to a medical laboratory for additional evaluation. If no noticeable cell changes are present in your sample, your Pap test results are regarded as normal. However, if your test comes back showing abnormalities, additional testing may be necessary. 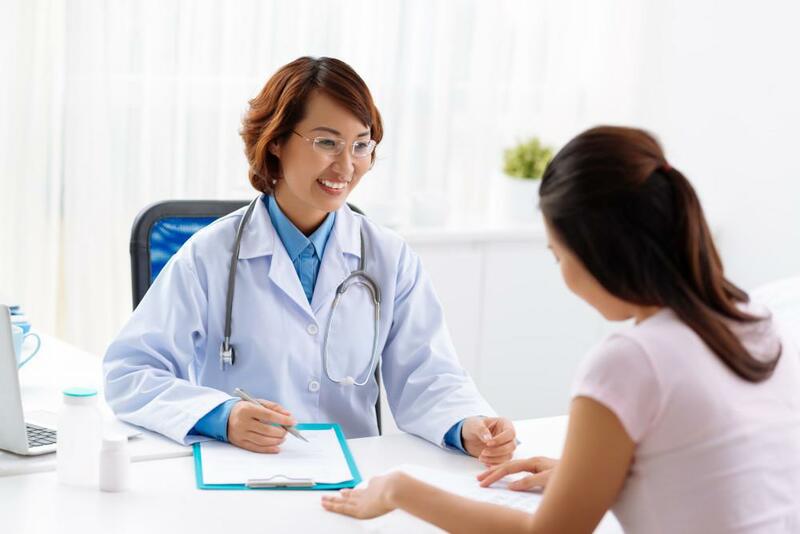 These issues can affect the results of your test and may require you to undergo another Pap smear or other diagnostic tests. Another common cause of abnormal Pap results includes the presence of the human papilloma virus (HPV), a common sexually transmitted virus. HPV can clear up on its own without medical treatment, but in some cases, HPV can result in different types of reproductive cancer, including cervical cancer. If additional testing shows you have abnormal Pap smear results, you may need further screenings to determine the cause. Testing may include a colposcopy, which is similar to a pelvic exam. However, your provider will use a special magnifying instrument to get a better look at your cervix and identify any areas of concern. If precancerous or cancerous cells are present in your cervix, your provider may recommend a loop electrosurgical excision procedure (LEEP), which uses a heated tool to remove abnormal tissues from your cervix. In many cases, a LEEP procedure can effectively eliminate all cancerous cells, and you won’t need further treatment. Having HPV or another sexually transmitted disease can also increase your risk of developing cervical and other reproductive cancers. During your annual well-woman exam, your provider can determine if your risk factors for developing cervical cancer require other testing in addition to your yearly Pap smear. You should also focus your efforts on reducing your risk for developing cervical cancer by eating more fruits and vegetables, getting sufficient exercise, and quitting smoking. Schedule your annual Pap smear today by calling The Guirguis Obstetrics & Gynecology Group or by using the online booking feature. A birth without much medical intervention is possible for many pregnant women, but choosing natural childbirth requires a lot of thought. Ask yourself these questions before making a final decision. The variety and severity of menopause symptoms can be shocking and confusing, but hormone replacement therapy can help. Learn what’s fact and what’s fiction about the journey of menopause and how HRT can address your symptoms. If you’ve heard horror stories about your mother’s or grandmother’s hysterectomy, you may be worried about undergoing the procedure yourself. You’ll be pleased to learn that things have changed for the better, thanks to robotic assistance.